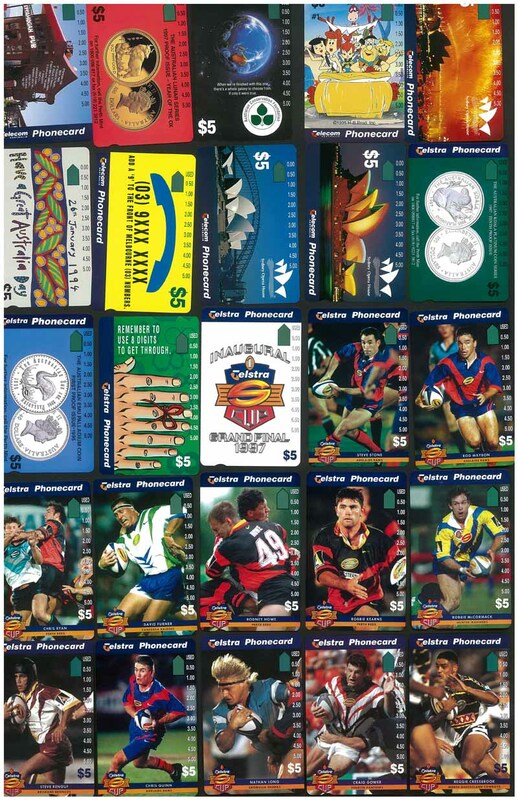 1989 Geelong (2), 1990 South Australia, 1990 $5.00 Generic, 1990 Queensland, 1991 New South Wales, 1991 Western Australia, 1991 Tasmania, 1992 Barcelona Olympics, 1992 Australia Day, 1992 Christmas, 1993 Mickey and Donald Down Under (5) and 1994 Lifesaving Phonecard packs, plus 18 mint Phonecards in album. Face Value $451.50. 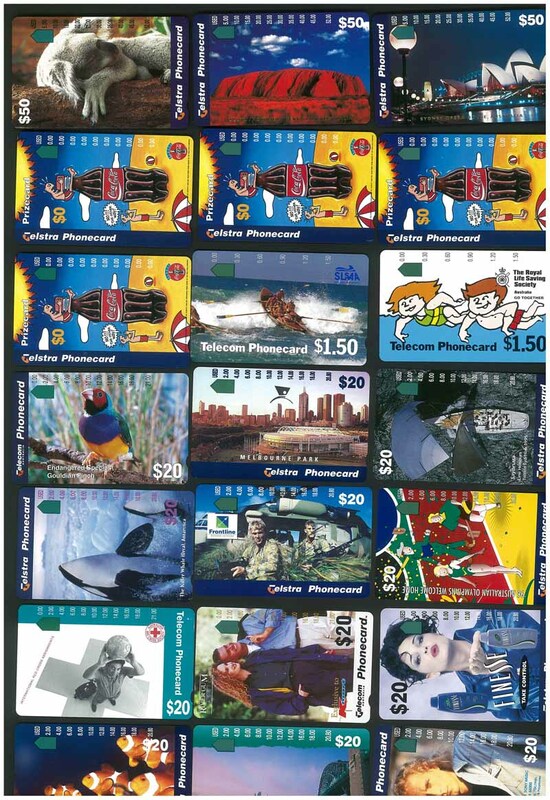 1989 Geelong, 1990 South Australia (2), 1990 $5.00 Grand Prix (2), 1990 $5.00 Generic, 1990 Queensland, 1990 Victoria, 1991 New South Wales, 1991 Western Australia, 1991 Canberra, 1991 Northern Territory, 1991 Tasmania, 1991 Red Cross, 1992 Australia Day, 1992 Barcelona Olympics, 1992 Christmas, 1993 Australia Day, 1993 Endangered Species, 1993 Indigenous People, 1993 Landscapes, 1993 Microscopic World, 1993 Environment, 1994 Australia Day, 1994 Dinosaurs, 1994 Endangered Species, 1994 Landscapes, 1994 Commonwealth Games, 1994 Lifesaving, 1994 Christmas, 1995 Australia Day, 1995 Invisible Heritage, 1995 Homecoming, 1995 International Year of Tolerance, 1995 Emergency Management Australia, 1995 Local Legends, 1995 Christmas, 1995 Transport, 1996 Australia Day, 1996 City-Scapes, 1996 Marine Series, 1996 Olympics, 1996 Antarctica, 1996 Christmas, 1997 Australia Day, 1997 Classic Fighters, 1997 Australian Steam Engines, 1997 Fishing in Australia and 1997 Vintage Cars Phonecard packs. (48 Packs). Face Value $1,360.00. 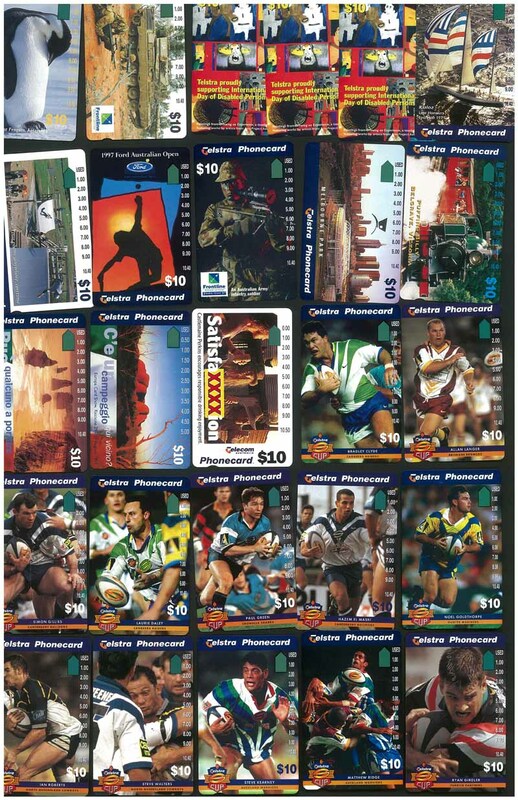 1989 Geelong, 1990 South Australia, 1990 Victoria, 1991 New South Wales, 1991 Tasmania, 1997 Sydney 2000 Olympic Games Mascots, 1997 Man Made Wonders, 1997 Fishing in Australia and 1997 Vintage Cars Phonecard packs, plus 7 different custom Phonecard packs and 338 mint Phonecards. Face Value $2,760.00. 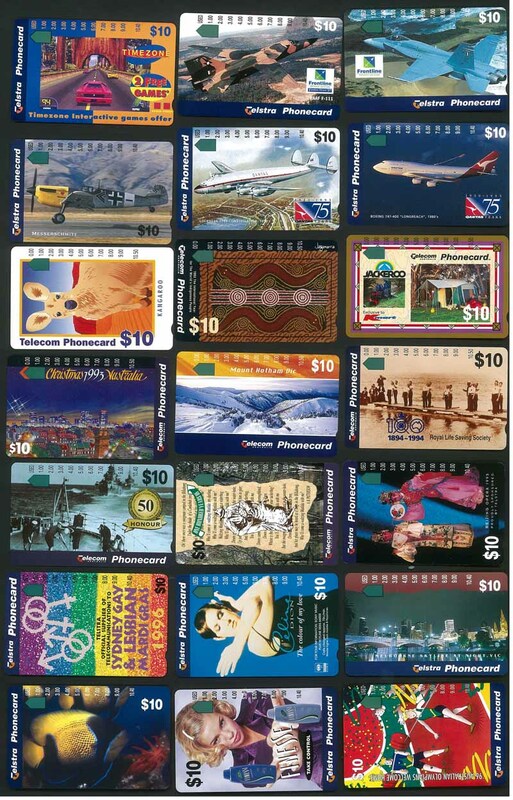 Also 1995 $1.00 Waltzing Matilda and 1997 $1.00 Kingsford Smith RAM uncirculated coins in presentation folders. (5 of each). 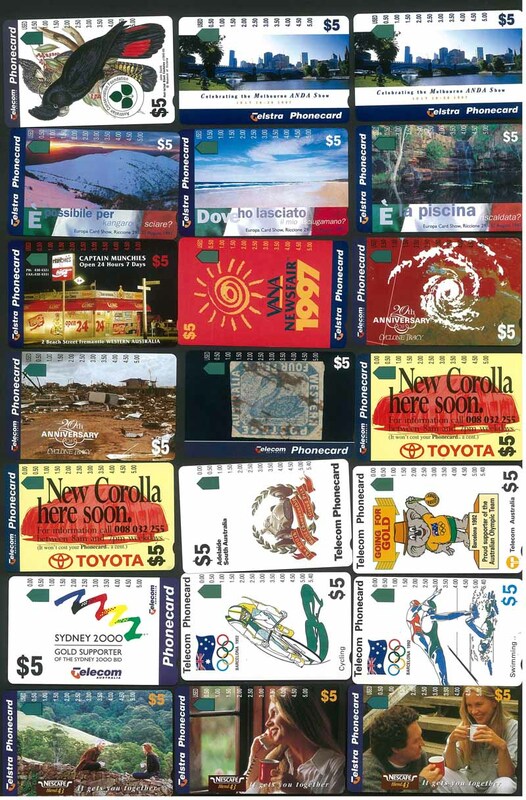 Collection of 40 Custom Phonecard Packs from 1992 to 1996 including Swissh, Ettamogah Pub, Sydney Opera House, ASDA, Museum of Contemporary Art, Spies Hecker Sports Car Classics, Flintstones, The Simpsons, Qantas 75 Years, Gary Ablett, Tony Modra, Chris Mainwaring, Stephen Silvagni, Rally Australia, Year of the Rat, International Phonecards World, Season Greetings set of 3, Valentines Day set of 2, Mickey and Donald Down Under and 8 different Coco Cola phonecard packs. Face Value $320.50. 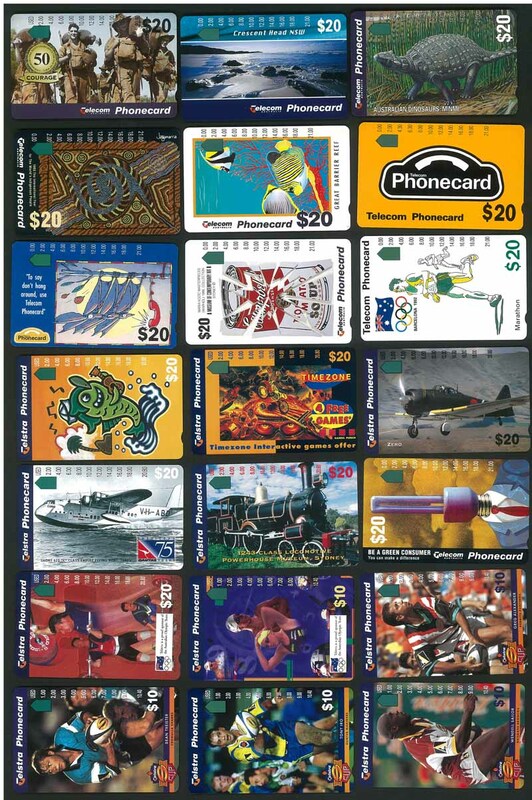 Also 130 mint Phonecards from 1991 to 1996 including some duplicates. Face Value $1,128.50. 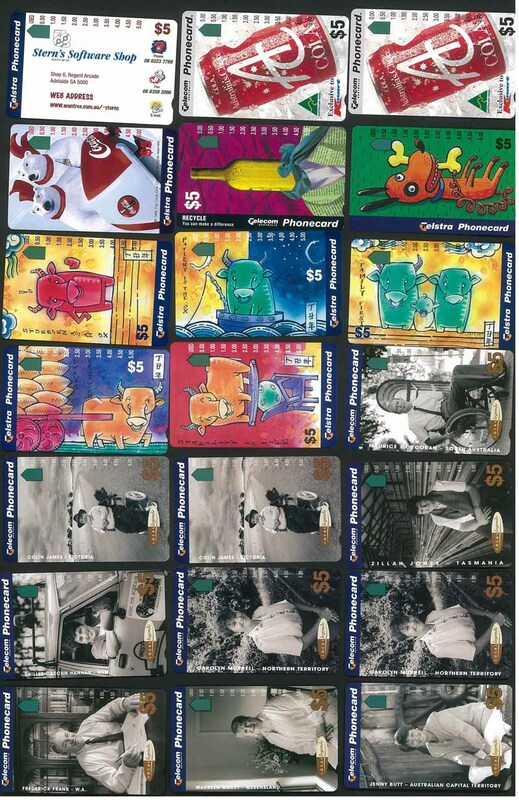 Collection of 90 different Paytel Phonecard packs. Face Value $3,205.50. 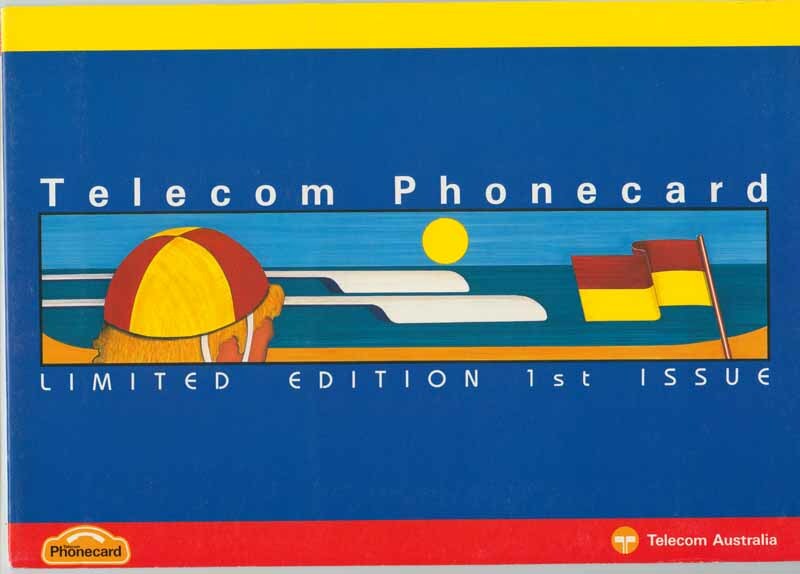 Selection of 106 Phonecard packs, mainly Telecom, Paytel, Payphonics, Dufour and APC. 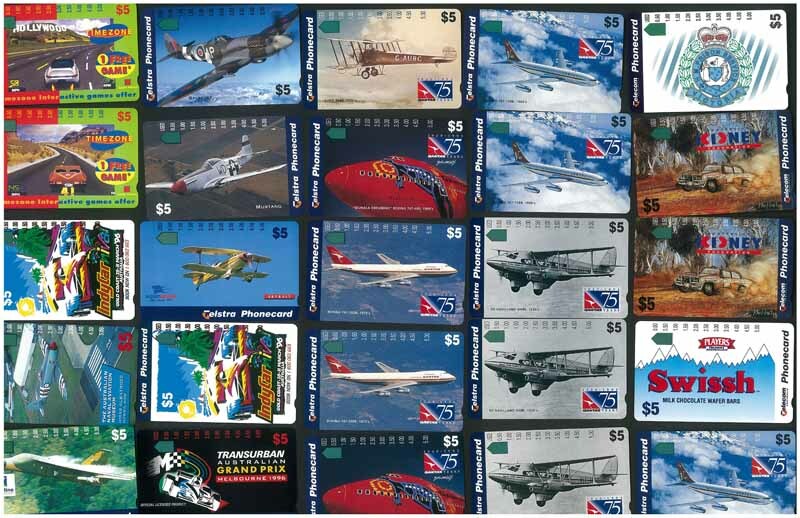 Some duplication including APC 1994 Courage Under Fire (19) and Telecom 1996 Transport (9). Face Value $1,615.00. 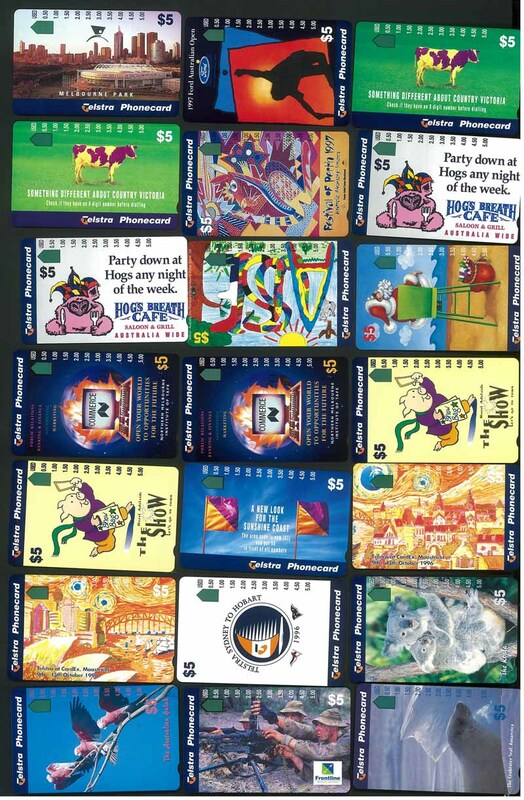 $5.00 Phoneaway Cards in sealed packs of 10 with an expiry date of August 2015. (170 Cards). Face Value $850.00. 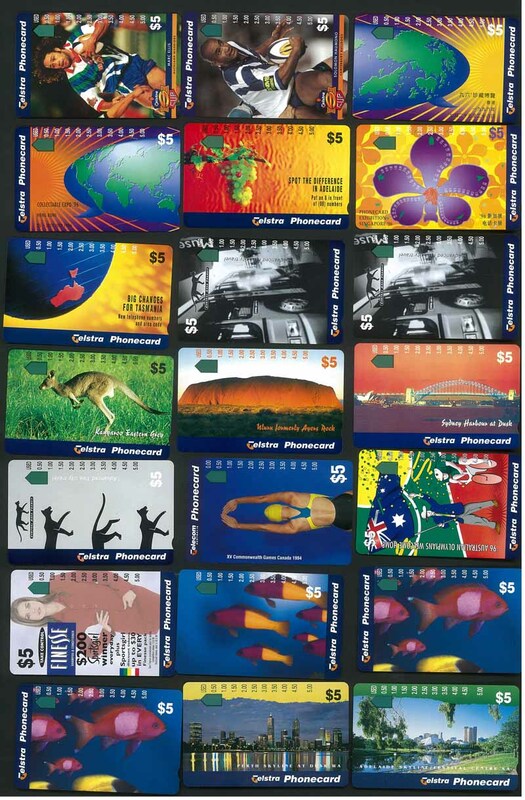 Selection of 254 used Phonecards mainly from Great Britain, Italy and South America.